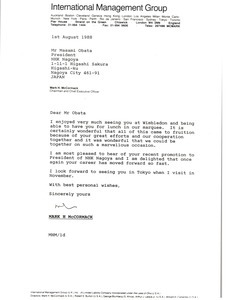 McCormack congratulates Obata on the wedding of his son. Tokyo (Japan) - Obata writes regarding the success of the Japan Broadcasting Corporation Wimbledon Tournament broadcasts. 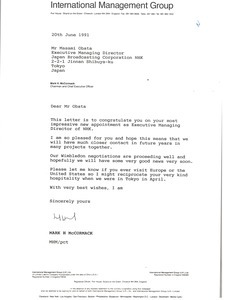 McCormack congratulates Obata on his promotion. 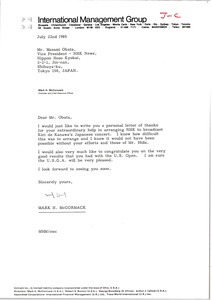 McCormack enjoyed seeing Obata at Wimbledon and congratulates himon his recent promotion. 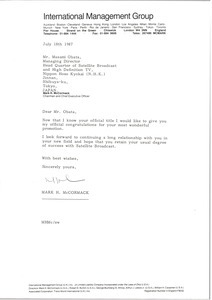 Japan - In response to Obata's letter, McCormack thanks Obata for his invitation to join him during his recent trip to Tokyo, agrees with the sentiments that Obata expressed in his letter, and looks forward to working with NHK. 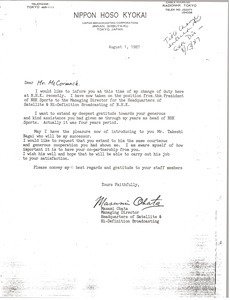 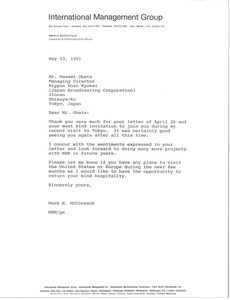 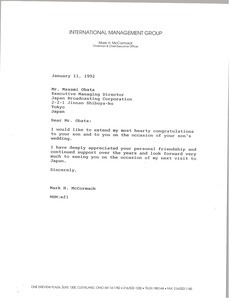 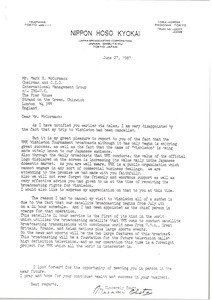 McCormack congratulates Obata on his appointment as Executive Managing Director of NHK. 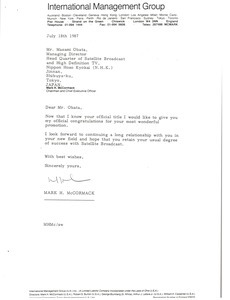 Attached is a fax from Tak Masaoka to McCormack informing him of Obata's new title.